How to watch Homeland: Season 7 (2015) on Netflix Netherlands! Yes, Homeland: Season 7 is now available on Dutch Netflix. It arrived for online streaming on March 8, 2019. We'll keep checking Netflix Netherlands for Homeland: Season 7, and this page will be updated with any changes. Season 1 of Homeland has 12 episodes. Because different Netflix countries have different availability for episodes, you'll need to check the episode listing below to see which are available in the Netherlands. A Marine rescued after eight years as a POW in Afghanistan returns home a war hero, but a CIA operative suspects he may actually be an enemy agent. An undercover agent with connections to a Saudi prince who may be funding terrorist activities provides Carrie with a revealing bit of evidence. An exclusive TV interview will thrust the Brody family into the national spotlight, unless Dana pulls off her plan to sidetrack the whole process. Carrie believes her suspicions about Brody may be proved correct when he confronts the sole survivor of the insurgents who held him hostage. At Carrie's urging, the CIA conducts polygraph tests on everyone who had contact with Nazir ally Afsal Hamid, including Brody. Carrie and Brody spend a weekend in the countryside, which ends up complicating their relationship further. Brody's efforts to sever ties with Abu Nazir trigger flashbacks to his time as a captive. 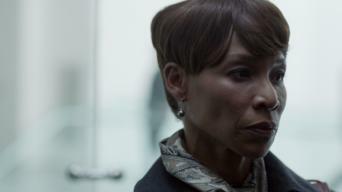 Walker's Washington contact is identified by Carrie and Saul, but the target is protected by diplomatic immunity. In the Season 1 finale, a near-catatonic Carrie is confined to bed as Saul puzzles over the unnerving implications of her timeline. Season 2 of Homeland has 12 episodes. Because different Netflix countries have different availability for episodes, you'll need to check the episode listing below to see which are available in the Netherlands. Months after the events that prompted Carrie to undergo electroconvulsive therapy, she's found a modicum of peace in her family's suburban embrace. Against the advice of her family, Carrie becomes involved in an operation that may rid the world of Abu Nazir once and for all. Fresh from her adventures in Beirut, a restless Carrie prepares for what she hopes will be a triumphant return to the CIA. Following a debrief from Saul, Estes authorizes a covert operation to pursue intel recovered in Beirut, putting his own trusted operative in charge. Brody finds himself prisoner again, this time on American soil. Carrie is forced to play second fiddle after her rash judgment call at the hotel. Dana visits the hospital and is shocked by what she sees there. 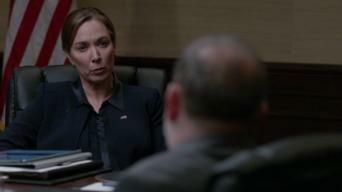 Brody agrees to work with Carrie and Quinn to stop an attack on America. Reeling from the recent ambush, Carrie and team struggle to regain control of their operation. Brody and family attend a fundraiser at a horse farm. He lies for Carrie. He lies for Roya. And he's still lying to Jessica. Brody's heading for a meltdown as he struggles to keep tangled alliances clear. Things for Brody are threatening to spiral out of control, forcing him to make a phone call he has been avoiding. Carrie preps for a pivotal meeting. Brody and Walden develop a chink in their relationship and it may affect their future. Carrie discovers she's not as looped in as she thought. Carrie's hunt for Nazir continues, but she suspects something's amiss inside the agency, while interrogation reveals Roya's true colors. In the Season 2 finale, Carrie is faced with a pivotal decision, while Brody meets with Faber to contemplate the future of the family. Season 3 of Homeland has 12 episodes. Because different Netflix countries have different availability for episodes, you'll need to check the episode listing below to see which are available in the Netherlands. Almost three months after America's "second 9/11," alleged Langley bomber Nick Brody remains at large. Carrie must testify for the investigation. Saul attempts to track down those responsible for the Langley attack, recruiting an unlikely expert to follow the money trail. As fugitive Nicholas Brody finds himself in increasingly desperate straits, he returns to his faith for guidance in an unexpected way. Carrie learns that even in its crippled state, the CIA can still exercise power when needed. Jessica seeks help in finding Dana. A mysterious man enters the country at the U.S.-Canadian border. Carrie puts her mission on the line to perform a risky favor. Carrie turns the tables on the mastermind of the Langley bombing, but recruiting one of Iran's most powerful operatives has dangerous consequences. With his old adversary in custody, Saul makes the gamble of his career. Carrie and Quinn scramble to contain a local police investigation. After new information comes to light, Carrie and Quinn pursue a key suspect in the Langley bombing. Meanwhile, the Brody family gets startling news. Carrie and Brody reunite, but the circumstances are tougher than either could have imagined. Meanwhile, Saul gets a win from an unlikely source. Brody embarks on a high-stakes mission, but his fragile condition threatens the entire operation. Quinn makes an uncomfortable discovery about Carrie. Carrie infiltrates Tehran to support the mission, but Brody's loyalty wavers when he meets a ghost from his past. Lockhart's confirmation looms. Carrie and Brody find refuge on the edge of the desert, but security forces are closing in. As Saul plans a rescue operation, Brody seeks redemption. Season 4 of Homeland has 12 episodes. Because different Netflix countries have different availability for episodes, you'll need to check the episode listing below to see which are available in the Netherlands. Carrie makes a critical decision when her counterpart in Islamabad delivers urgent intelligence; Saul struggles to adjust to the private sector. Carrie struggles with ambivalence towards motherhood; Quinn spirals out of control; a disgraced officer reveals disturbing information. Carrie forms a delicate alliance with her counterpart at Pakistan's secretive ISI; Fara fails to recruit a key asset; Quinn zeroes in on a lead. Carrie gets a tip from Redmond regarding Quinn's lead; Saul calls in a favor from an old friend in the Pakistani military; Fara uncovers a conspiracy. Carrie tries to earn the trust of a frightened asset; Saul catches a break when he spots a familiar face; Quinn and Fara stake out a new suspect. While Quinn takes an objective approach, Carrie puts her operation in motion and her life on the line to prevent a terrorist strike. Lockhart comes to negotiate; Haqqani uses Saul as his shield; Carrie's investigation gets complicated, especially when someone tampers with her pills. Carrie and Quinn organize a last-ditch operation; Saul extracts a painful promise from Carrie; Lockhart and Martha stall the ISI. A trade with the Taliban for Saul's life angers Lockhart, forcing Carrie to improvise to salvage her mission; the CIA closes in on a security leak. The security breach has far-reaching consequences as Carrie and Saul get caught in an attack on their convoy and Haqqani's men infiltrate the embassy. When the embassy is evacuated and Quinn resists leaving Islamabad, Carrie puts her life on the line to get her whole team out of Pakistan. Carrie and Saul investigate what she saw in Islamabad; Carrie tries to cope with the return of her estranged mother as her father is laid to rest. Season 5 of Homeland has 12 episodes. Because different Netflix countries have different availability for episodes, you'll need to check the episode listing below to see which are available in the Netherlands. Carrie's idyllic new life in Berlin is disrupted when a journalist comes to her with a leaked CIA document, prompting a revisit to her agency life. Carrie goes with Otto as part of his security team to a Beirut refugee camp, where she makes a disturbing discovery. Quinn gets a shocking message. Carrie resorts to desperate measures to figure out who is targeting her. The hackers negotiate the transfer of the rest of the documents. Quinn forces Carrie to take a necessary but painful next step. Numan learns of his partner's plan. Saul and Allison offer a deal difficult to refuse. Allison leverages Saul's friendship with Etai. Astrid helps Carrie uncover the identity and motive of her enemy. Numan makes an appeal to the public. Realizing there's a mole and he's being surveilled, Saul orders a sweep of the Berlin CIA building. A good Samaritan brings Quinn into mixed company. When Allison tries to get Saul to talk, she learns some disturbing news. The documents lead Carrie to an asset in Amsterdam. Quinn gets a new mission. Carrie arranges a secret meeting with Allison. 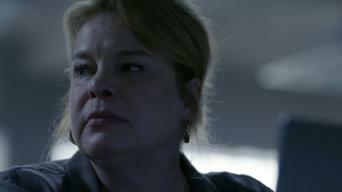 Flashbacks reveal the events that led to Allison's current duplicity and their connection to Carrie. The BND uses a ruse and Saul's intimate relationship with Allison to prompt her to lead them to her handler. Quinn learns his captors' true intent. Carrie spots a clue in the video of Quinn that could help pinpoint his whereabouts. With the release of the footage, a new threat emerges. Carrie follows a clue found on Quinn. Saul tries a new tactic to get Faisal to reveal info on the impending terror plot. Allison gets secret orders. Carrie begs a conflicted Qasim for help. Saul presses hard on Ivan in order to find Allison. Carrie reunites with Jonas and later gets two offers. Season 6 of Homeland has 12 episodes. Because different Netflix countries have different availability for episodes, you'll need to check the episode listing below to see which are available in the Netherlands. Quinn resists rehab efforts. A briefing with the new president-elect makes Dar wary. A young Muslim American with a controversial website is arrested. A stash of cash found in Sekou's home leads Carrie to investigate his pal Saad, whose ties shock her. Dar lures Keane into joining a Mossad operation. Carrie's meeting with Saad has grave repercussions for Sekou. 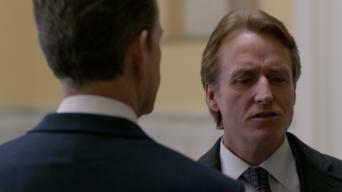 In Abu Dhabi, Saul interrogates Nafisi for proof of an Iran-North Korea arms deal. Sekou buckles under peer pressure to prove he's not an FBI informant. Saul secretly seeks a second opinion. Quinn tails Carrie's suspicious neighbor. A detail in the wreckage catches Quinn's eye. A lapse in Carrie's judgment endangers her child. A mystery emerges from the recording Carrie received. Keane breaks the rules to reclaim her power. Saul investigates Mossad agent Tova's movements. Quinn's photos lead FBI agent Conlin to a weird place. 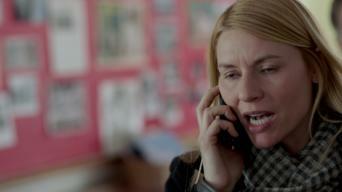 Carrie gets a troubling call from Franny's school. 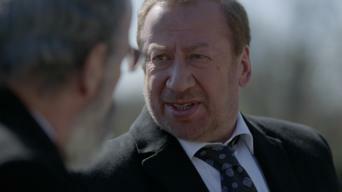 Dar plots to prevent Javadi from reporting his findings to Saul. Quinn learns he's part of a deal. A smear campaign against Keane's late son is launched. Quinn grows distrustful of Astrid. In a meeting with Keane, Javadi makes a shocking statement. Javadi leaves an unexpected gift behind. Max infiltrates the shady company where Conlin was last heard from. Quinn sets off on a revenge mission. Quinn learns the assassin he's tracking is linked to a place from his past. Max spots a familiar face at his new job and takes a risk to get evidence. Keane accepts an invitation from Brett O'Keefe to appear on his show. Quinn catches his quarry. A clue suggests where the special-ops team is headed. Dar uses strong-arm tactics to find out who's behind the Toxic Soldier blog. A phone tip sends Carrie and Quinn scrambling to save Keane's life. Season 7 of Homeland has 12 episodes. Because different Netflix countries have different availability for episodes, you'll need to check the episode listing below to see which are available in the Netherlands. Carrie sets up a risky meeting between a senator and an FBI source. Brett O'Keefe is forced to take refuge. In detention, Saul gets a surprising offer. Keane is forced to make a show of good faith. A visit to a psychiatrist leaves Carrie rattled. Hidden cameras capture a new face in Wellington's home. At O'Keefe's hideout, Saul begins negotiations. Carrie learns who the woman caught on camera is. Wellington issues a command behind Keane's back. The parking ticket leads Carrie to a series of transactions. O'Keefe loses control of the situation at the compound, and an outsider spreads a rumor. 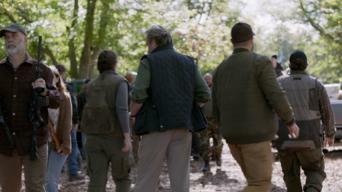 Carrie forms a team for an operation targeting Simone Martin. Saul follows a hunch about the hospital photo. Keane asks a widow for a delicate favor. Saul consults an expert on Russia and a data scientist. Sen. Paley subpoenas Simone, whose testimony has Carrie re-examining her entire investigation. Saul hunts for Simone's link to Russia. Carrie flees with Franny after a blowout with her sister and later has an eye-opening chat with Dante's ex. Wellington puts pressure on the Russian ambassador. Maggie gives Carrie an ultimatum. Saul and Carrie take extreme steps to get Dante to talk. Yevgeny learns what happened to Dante. 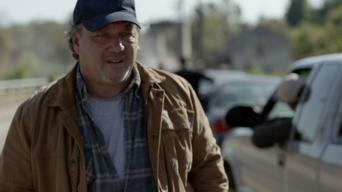 Saul takes a risky chance to uncover Yevgeny's network. 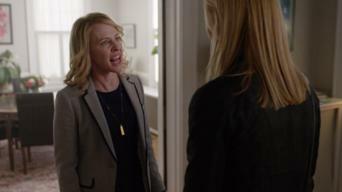 Carrie finds out her sister is consulting a lawyer. Russia expert Sandy tells Saul she suspects Simone is still alive. Carrie faces Maggie in court. Keane's future rests in the vice president's hands. Sen. Paley investigates why Saul went to Moscow. Carrie's team launches the operation to exfiltrate Simone. Keane's recent decision backfires. Saul must usher his group out of Russia without raising suspicions. Carrie and Anson race toward the U.S. Embassy. The new president is put to the test.